Elemental, organic, and vaguely aware of the past, LA-based Adam Silverman’s ceramic works possess a mysterious presence. Here, a traditional vessel morphs into an ambiguous form covered in painterly layers of glaze. 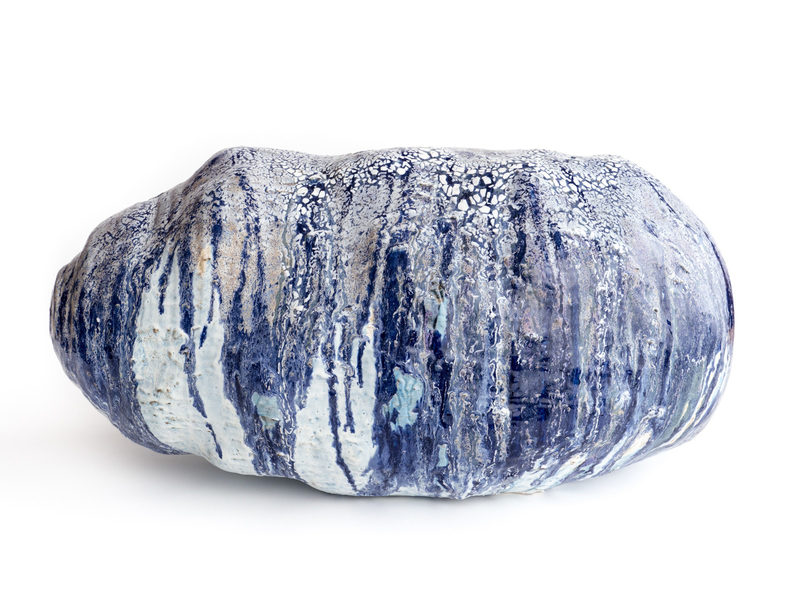 Blue and white glazes react to one another to create meandering drips, fragmented lines, and crackled areas that conjure any number of organic and geological processes. Silverman’s work is in the collections of LACMA and the Israel Museum, Jerusalem. In 2009, his collaboration with Nader Tehrani Boolean Valley (a field of ceramic forms in varying heights) was on view at the Nasher Sculpture Center where it was installed in the fountains near the back of the garden.